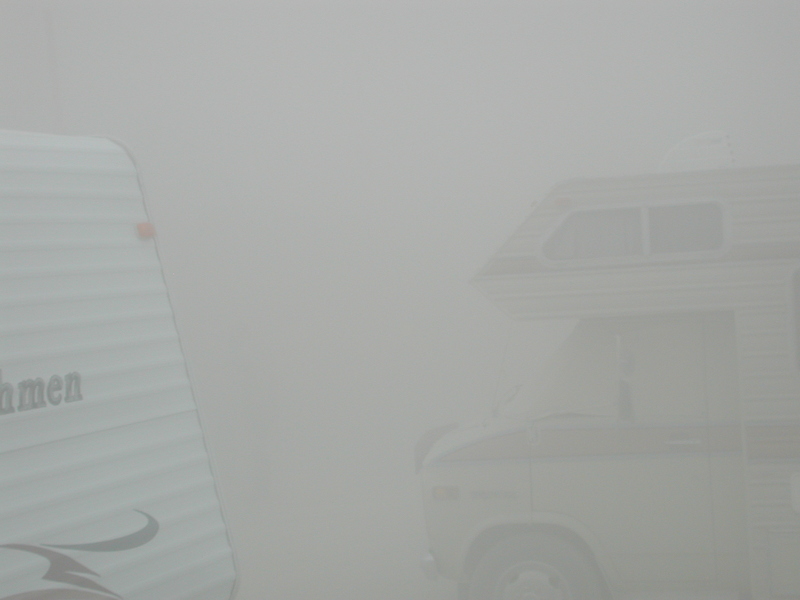 We really struggled last year with our RV at Burning Man. Among the problems was a hole in the long gas intake pipe, which caused any gas being put in the tank to leak. You’re not supposed to put anything other than pure, clean water on the Playa surface, so we couldn’t add fuel the whole time we were at the burn. An even bigger problem was the generator, which died on us mid-Burn. The generator permits us to use the air conditioner, a creature-comfort that we find critically important so we can rest during the hot part of the day. The RV becomes stifling without the air conditioner. We were fortunate that TPP (The Playa Provides) once again proved more than just a legend. Shortly after our problem occurred, two generators magically showed up and we were back in business for the remainder of the Burn. What failed on our generator was the starter motor. The shop that made the repairs suggested that Playa dust was a major contributor, and we agree with that assessment. The question is, what can we do about it? At this point, I’m not sure. Air has to come into the generator for it to work properly, so we can’t simply cover the air vents provided for that purpose. The filtration system that is part of the generator was never intended to cope with a week or more in the desert (we spent 10 days there last year). So I’m trying to come up with an air permeable dust filter that can be attached to the outside of the generator compartment. Maybe a furnace filter would work. We could attach it with duct tape and change it when it got too full of dust. I’d certainly welcome any suggestions; meawhile, those of you bringing an RV to the Playa should take this as a cautionary tale. The desert environment is harsh and puts stress on our bodies and the equipment we bring with us. Come as well prepared as possible for a dusty week.